A Poet and Scourge of Heretics Collects His Verses, Binds Them for Presentation, Tidies Up His Texts, and Touches Up the Illustrations. Houghton Library’s excellent Neo-Latin poetry collection (thank you, Roger Stoddard) received a notable and rare addition this month when Bill Stoneman, Curator of Early Books and Manuscripts, purchased a sammelband of more than two dozen publications—some 200 poems in all—by William Rowland (1611?-1659), an Anglican minister and poet who converted to Catholicism, became an arch-foe of Reformation heretics, and, abandoning England, sought favor at the court of Louis XIV. This collection gathers together single sheets and small pamphlets of Neo-Latin verse from the presses of several different Parisian printers issued between 1649 and 1657, all under Rowland’s pseudonym Rolandus Palingenius, self-described on some title-pages as “Iuris vtriusque Doctore, Antagonista Hæreticorum, ac Poëta Regio.” The poems variously laud French military victories and prowess, celebrate the post-abdication visit by fellow convert Christina of Sweden to Paris, flatter the court and supporters of Louis, and, most frequently, condemn, ridicule, and regret Protestants. Our chief contemporary source on Rowland’s life is Anthony à Wood (1632-1695), whose Athenae Oxoniensis (f Typ 805.13.8803; imperial paper copy) describes the poet as “a boon droll, a jolly companion and … generally called doctor, having had that degree conferr’d on him at Paris.” Wood may also account for some of the bibliographical complexity of the individual pieces in Houghton’s volume (some with original title-pages altered in manuscript, some with new title-pages, and some with [intentionally?] missing title-pages) when he tartly observes that the poet would adapt old poems to “new patrons, as they came to his knowledge … to shark money from those who delighted to see their names in print.” Currying favor or sharking money may also account for the luxurious binding—no doubt for presentation—for this compilation of sometimes indifferently printed poems. The volume is bound in contemporary vellum, with handsomely gilt spine and covers, marbled endpapers, holes for ties, and all edges gilt. Four similar compilations, all probably put together by the poet for actual or potential patrons, survive: one in America, one in England, and two in Paris. The bookseller’s description, admiringly plagiarized above, does omit a few remarkable features of this particular volume. While engraved portraits of Martin Luther and Jean Calvin are duly noted in the offer as illustrations to a poem comparing—uncharitably, of course—the physiognomies of the two heretics, unnoted are both the serious and the “droll” ink alterations to the images. 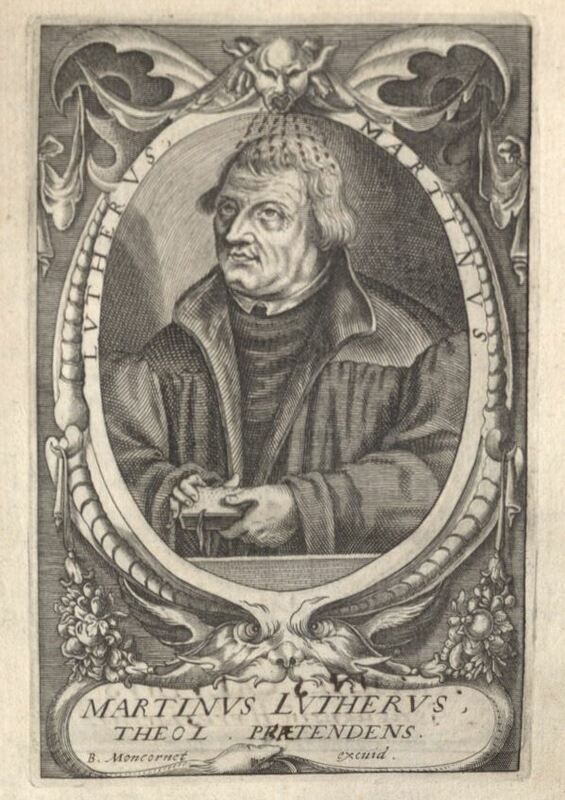 The caption to the Luther portrait (by the noted engraver Balthasar Moncornet, who presents the subject in a devilish frame) has been corrected by hand, and (as a parody of Pentecostal inspiration?) a venomous shower from the framing devil’s mouth onto Luther’s head has been sketched in. 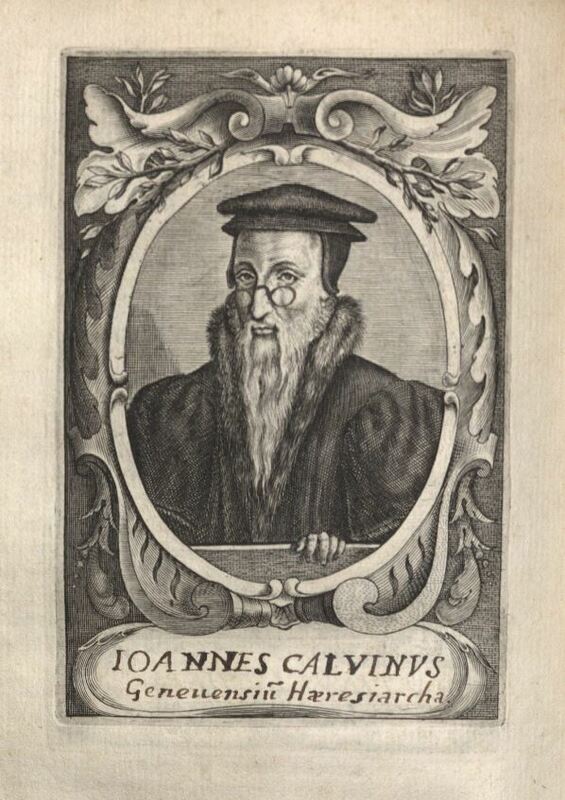 The portrait of Calvin on the verso has had a Latin caption supplied by hand (identifying the subject as an arch-heretic from Geneva), and (as a comment on his “vision” otherwise unattested in contemporary portraits?) 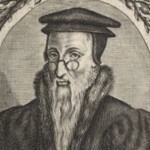 pince-nez spectacles have been drawn in ink on the bridge of Calvin’s famously aquiline nose. 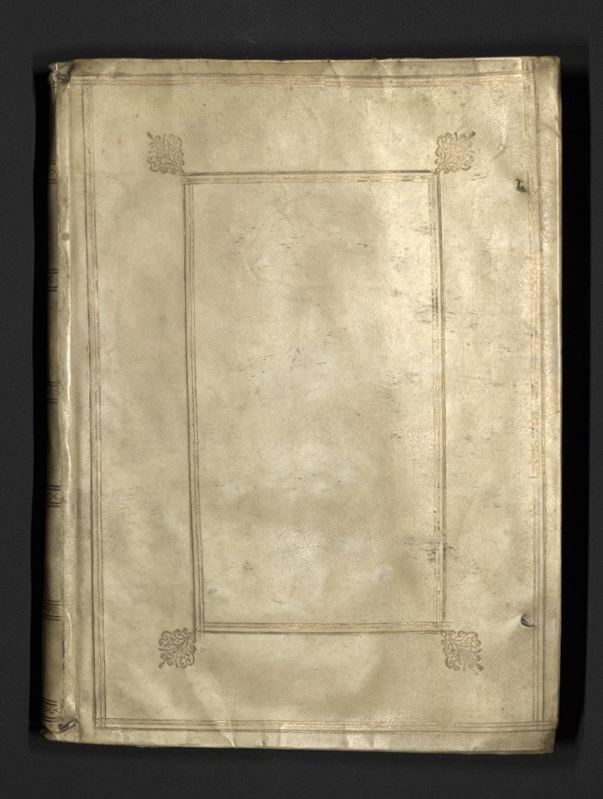 Other manuscript alterations to the text throughout, to title-pages, to dedications, and to a chronogram that just doesn’t add up leave little doubt that these changes were made by the author himself in a production whose every detail he oversaw—or added later by hand. This post was contributed by Dennis C. Marnon, Administrative Officer.